PaperCut MF manages secure scanning with an easy solution for both System Administrators and users. All copier brands handle scanning differently. So Systems Administrators can sometimes find it difficult to offer a simple scan to me solution across their whole organization. Not anymore. With PaperCut MF System Administrators can assign user scan workflows to users and groups with the ease of deployment you've come to expect from PaperCut. Users get an integrated all-in-one interface along with pre-configured Scan Actions to on ramp into existing business systems. 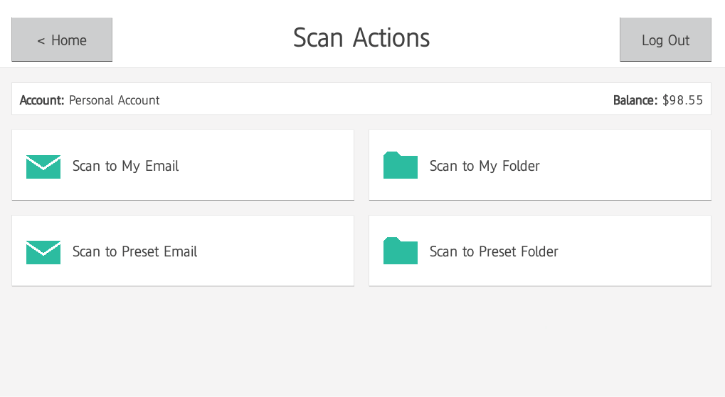 With a couple of clicks at the device, users can scan documents to predefined folders, email addresses, or cloud storage. 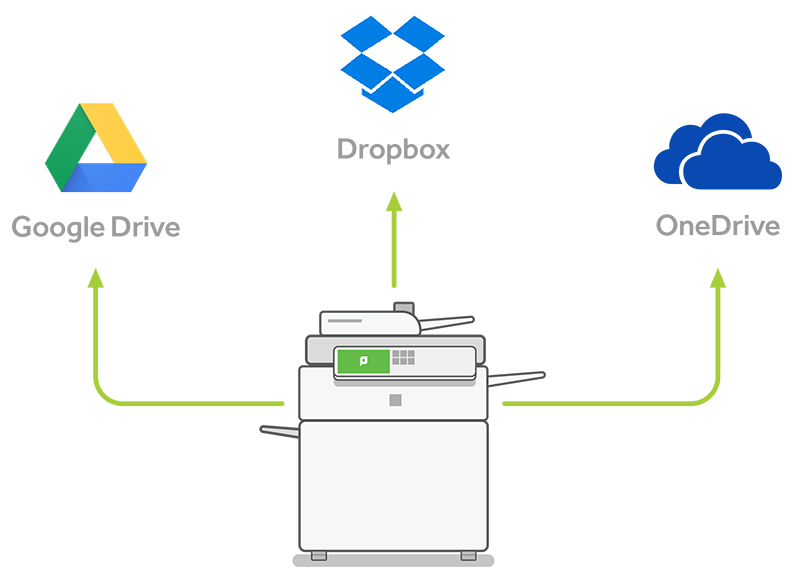 Seamlessly scan to a range of cloud storage providers – like Google Drive and Dropbox – using the same intuitive interface as Scan to Email and Folders. 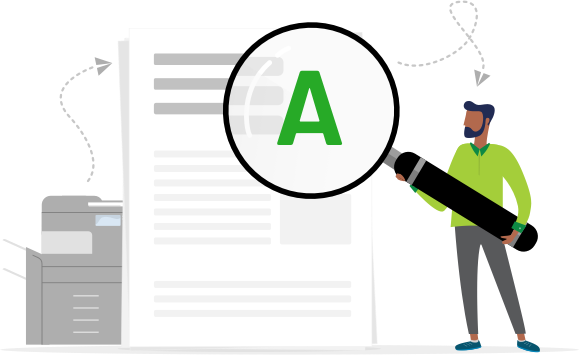 With OCR (optical character recognition), you can turn your scans into text-searchable and editable smart documents to retrieve information easier than ever. Systems Administrators control who can scan documents and to where. By defining custom destinations and settings, scanned documents can then flow into business processes. PaperCut MF Integrated Scanning can be set up in minutes with minimal configuration requirements. System Administrators can easily configure and manage user Scan Actions for each user. 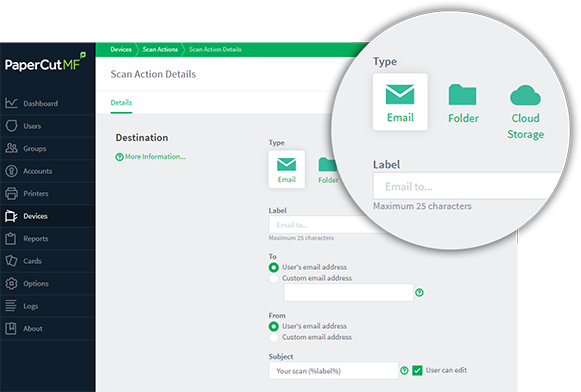 Just like print and copy, sync to your user databases for easy deployment. 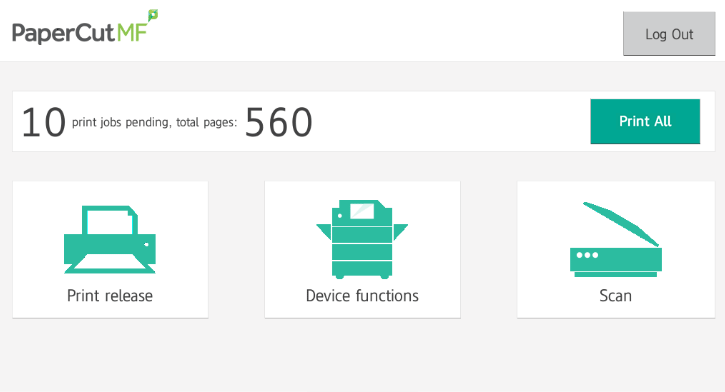 Then, from the PaperCut MF web administration console, track and control who's scanning what and to where. Interested in seeing more? Hear from our application specialists on how easy it is.